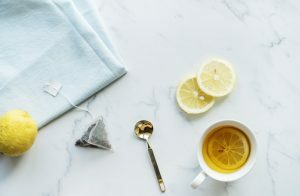 Home › Legal Questions › Can I take sick leave to take of my child? Can I take sick leave to take of my child? I had to take time off work to take care of my child who was sick. Can I apply for sick leave? Section 22 of the Basic Conditions of Employment Act regulates an employee’s sick leave, and section 23 of the mentioned Act regulates the proof of incapacity. The purpose of an employee’s sick leave is to give leave to the employee if he or she is unable to work due to illness, not because his or her child is ill. Therefore, an employee cannot use sick leave if his or her child is child. Legislature did however, make provision for a specific type of leave if an employee’s child is, amongst other things,sick. Section 27 of the Basic Conditions of Employment Act makes provision for family responsibility. This section is applicable to an employee who has been in service at his or her company for more than four months, and who works at least four days per week for their employer. (ii) the employee’s parent, adopted parent, grandparent, child, adopted child, grandchild, or brother or sister. An employee can take a whole day’s leave for family responsibility or just a part of the day. Before an employee can be paid for leave regarding this section of the law, an employer can request reasonable proof of the matter for which leave was taken.